I am not a big fan of air travel as experienced in these latter days (“the world has moved on”). The complications and annoyances imposed by the TSA and the deregulated airlines, even if sometimes justified, are not to my liking. But that doesn’t mean I don’t like to get away once in a while, and I still enjoy doing my traveling- speaker thing. This year’s fall star party season would be a big one for that, starting with two new ones for me, the Maine Astronomy Retreat and the Northwoods Starfest (Wisconsin). Maine was up first. I am no stranger to the Vacationland state, having spent quite some time there one winter doing work for the Navy at Bath Ironworks (shipyard), but I’d never contemplated observing under a Maine sky. Temperatures in the minus-teens the winter I was there didn’t encourage me even to step outside and look up at the sky naked eye. 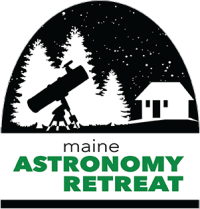 So, it was not until my friend Kelly Beatty (of Sky & Telescope fame) invited me to do a couple of talks at the Maine Astronomy Retreat that I began to think about star gazing way down east. Yes, Maine is on the east coast, and, as you well know, few sites east of the Mississippi can compete with dry western skies. Nevertheless, the state has something going for it: not too many people. Once you get away from the coast, it is still possessed of many dark miles of forests. I began to suspect the Maine interior might be an undiscovered deep sky paradise. So it was that I set out on my adventure on Saturday, August 23. Mr. Beatty had been able to arrange a late Saturday morning flight out of Mobile for me instead of my usual 0600 super-redeye, so I was looking forward to being more rested than I usually am when I reach my destinations. I made my connection in Charlotte without a hitch and was soon on my way to Boston. Why Boston? Why not Portland, Maine? The plan was for me to meet Kelly in Beantown on Saturday, spend the night with him and his wife, Cheryl, and drive up to the star party with them on Sunday. Charlotte to Boston is not a short hop, but I had a decent book, David Weber’s Field of Dishonor, part of the Honor Harrington space opera series, to entertain me. Eventually, it was wheels down at Logan, where I found Kelly waiting for me just outside the secure area. In a few minutes we were picking up my checked bag and were on our way to the Beattys’ home, where I was introduced to the charming Cheryl. Shortly thereafter, the three of us were off to have some fun. 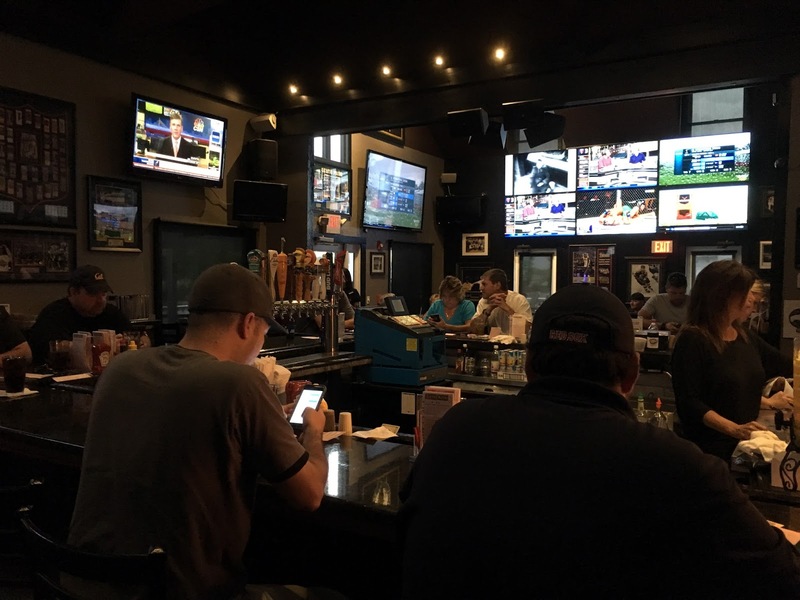 A good time was indeed had by all at Kelly’s and Cheryl’s favorite sports bar, the Brickhouse Grill in Chelmsford. This is normally an activity I reserve for Mondays (at Heroes), but it was fun to spend a Saturday night in a crowded and lively place watching baseball—even if it was the Red Sox instead of the Braves. The wings were good, if not quite as good as those at Heroes—nobody has wings as good as Heroes. When Kelly suggested I fly into Boston the day before the Retreat was slated to begin, I was dubious. It’s gonna be a long summer on the road and an extra day away from home was not entirely to my liking. Doing Boston turned out to be a blessing, though. I was able to spend that fun evening with the Beattys, rest comfortably in their guest-room Saturday night, and was feeling good when we departed for Rockland, Maine (actually the star party is closer to tiny Washington, Maine) at a reasonable mid-morning hour on Sunday. 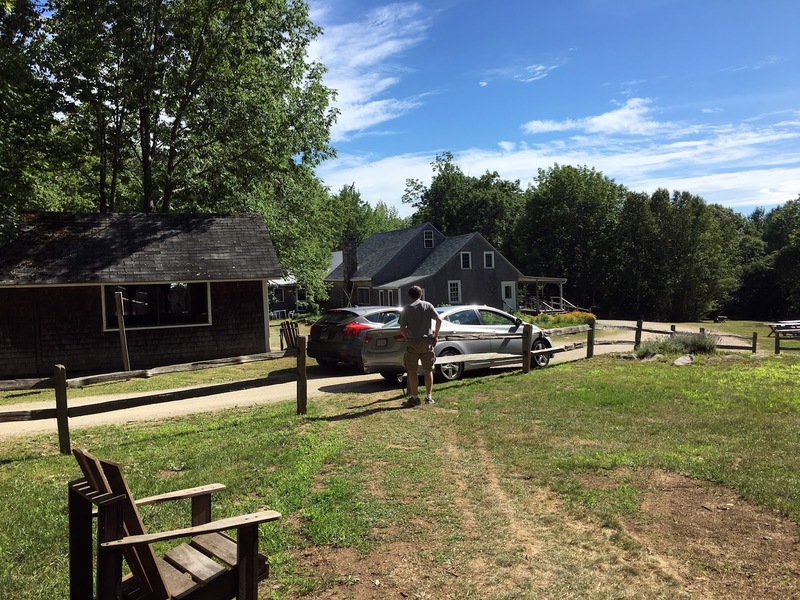 The drive up was actually relaxing, and after three hours we pulled into the venue, the Medomak Family Camp and Retreat Center. What was it like? Like a summer camp from the 1950s that has been magically transported to this new century. 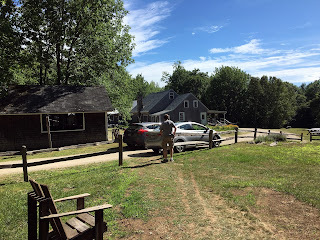 Pin-neat cabins, historic dining hall/auditorium, beautifully maintained grounds, and an expansive lake all surrounded by cool and dark Maine woods. First order of business was getting settled in my cabin, one of two brand new ones near the main camp building. One of the things that impressed me was that not only was Medomak well maintained, it was obviously being improved and expanded. How was my cabin? Quite traditional—no phone, no TV, and, most of all, no air-conditioning (or even a ceiling fan). I didn’t care a fig about a landline phone or TV, and normally wouldn’t have cared about the lack of air-conditioning. Even in July, Maine temperatures are normally comfortable compared to the Gulf Coast. But not this summer. While it was not as blisteringly hot as back home, at mid-day temperatures in the upper 80s and relatively high humidity made my cabin uncomfortable. Like much of the east, Maine was sweltering under a tremendous “heat dome.” The good news was that it would still cool dramatically after Sunset and was quite comfortable then. During the day? The solution was to turn off Facebook (Medomak had good wi-fi) and get out of the cabin. That was fine, since I wanted to tour the camp and surrounding area. The first thing I did after getting unpacked for my week at Medomak was walk up the ¼ mile or so of wooded road to the observing field in a meadow at the top of a small hill. If I was impressed by the camp in general, I was doubly impressed by what the Maine Astronomy Retreat organizers and the camp folks have accomplished with the observing area. The field, which was covered in gravel, was not huge, but it did not have to be. The MAR is an intimate event currently limited to 40 observers. That doesn’t mean amenities are lacking; there was a brand new, large warm room adjacent to the field. Need to shake off the Maine chill or use a real bathroom? This beautiful facility is just steps away. In the evenings, not only was coffee laid on in the warm room, plenty of delicious snacks were provided to keep star gazers going through the night. Oh, and there was wi-fi too. Having wi-fi on the field comes in handy for a variety of reasons. It’s nice, for example, when you’re chasing a really faint fuzzy, to be able to download its picture of it from the Digitized Sky Survey and get an idea of what it should look like. How about telescopes? There was a good variety of scopes on the field and ready to go: SCTs, Dobs, and, most of all, refractors. As I’ve noted before, ED/APO refractors seem to be pulling ahead again, and so it was on the Retreat field. 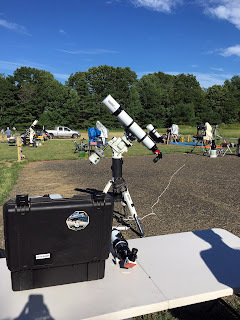 In addition to a couple of beautiful A-P 130s and some absolutely amazing Brandon refractors, what really caught my eye was not a scope but a mount, one of the star party organizers’, Bruce Berger’s, iOptron CEM 60. I’d heard a lot about these “center balanced” German mounts, but this was the first time I’d seen one (and, later, seen one in action) in person. My conclusion? If I were more serious about doing astrophotography than I am at the moment—the nasty weather we’ve had this summer isn’t encouraging that—I’d be sorely tempted to sell my CGEM and use the funds to help finance a CEM60. I wasn’t just impressed by the mount’s good looks or its innovative design, I was blown away by how quiet and just good it sounded while slewing. The hand control is also an upgrade over what we’ve been used to with Meade and Celestron. In other words, quite an impressive package. The icing on the cake was that Bruce had added one of QHY’s new Polemaster polar alignment cameras, which he promised to demonstrate for me after Polaris peeped out. Next on the agenda, however, was supper. All our meals are chef-prepared, small batch and from scratch. This isn’t institutional food. We grow many of our own organic vegetables; we milk our own cows, and bake our own breads and desserts. There is always plenty to go around of our hearty, healthy, comfort food. Coffee, tea, fruit and snacks are available all day and well into the night, so you can keep your eyes open waiting for that next brilliant shooting star. 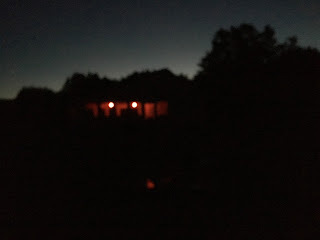 This first evening, I recall, was Mexican Food Night, a fairly standard feature of many star parties. But I’d never had Mexican food like this at any star party. What was most amazing was not just the freshness of everything, but the obvious care that had gone into the food’s preparation. Nuff said. Observing-wise, Sunday night was not perfect. Oh, it was better than the club site back home, and a least showed the potential of the site, but intermittent clouds and haze kept it from really rocking. That was OK, though. If you have to have a semi-punk night, the first night, when everybody’s tired from travel and set up, is a good night to have it. I did get a chance to see Bruce’s Polemaster camera in action, and was impressed by the speed and ease with which this gadget allowed him to achieve a precise polar alignment. If I can get my hands on one sometime I’ll give y’all a complete review of this fairly amazing gadget. I hadn’t had to do any setup, since I didn’t have a telescope with me (I may begin traveling with an orange tube C90 shortly, but didn’t bring it along on this one), and I hadn’t had to do any driving, but I was still pretty tuckered, and by 11 p.m. was ready to head to the cabin, especially given the so-so state of the sky. There, I watched an episode of Constantine thanks to the Camp wi-fi and was soon off to dreamland. Monday, I spent the (overly) warm daylight hours out and about, hanging with my fellow campers, and looking around. As above, it didn’t take long for my little (non-insulated) cabin to assume the character of an Easy Bake Oven. Monday night was, alas, a cloud-out with overcast closing in by afternoon. It was obvious there’d be no observing, so Kelly and I volunteered to do “extra” presentations. In the interest of keeping everybody’s spirits up, I did my “fun” show, Things that go “Bump” in the Night Sky. Between the silliness of the talk and the wine we were drinking, I believe all and sundry had a good time clouds or no. Tuesday morning, I rode into the little town of Liberty with Kelly and Cheryl for a look at its quaint shops, including a junk shop largely devoted to old and obscure tools. That is not really anything I am overly invested in, but in typical junk shop fashion, there was a little of everything, including, hiding in a corner, a stack of Silver Age comics. 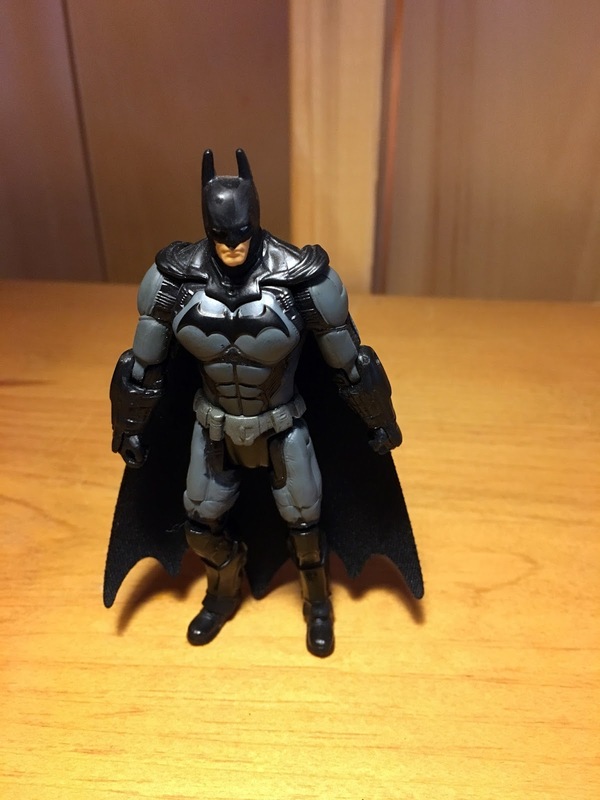 I got a 1960’s issue of Sgt. Fury and his Howling Commandos, a 1950s issue of Walt Disney’s Comics and Stories, and a couple of other goodies for practically nothing. When night began to fall on Tuesday, there was no doubt in my mind it was going to be a good one. It was one of those spectacular evenings that make themselves known early on. As sunset came on, the sky became a deeper and deeper blue, turning a dark purple just before going black. The Milky Way was soon burning, with the Great Rift, the galaxy’s equatorial dust lane, not just prominent but detailed. I had some great views that night, including a survey of bright planetary nebulae like the Blue Snowball (can you believe Andromeda is back already?) and the Blinking Planetary with an exquisite Astro Physics 130. Also wonderful were the views I got through the classic C8 belonging to Sandy Mesics (my Sister from Another Mother), which she had mounted on a modern Celestron goto fork. In addition to bumming looks through the telescopes of various kind observers, I got to run a scope myself, a Meade 10-inch Lightbridge Bruce had set up. How would my somewhat atrophied finding skills do in these star crowded skies? Like riding a bicycle, star hopping is a skill I guess you never lose. I did a tour of the sinking summer constellations, concentrating on globular star clusters. With the aid of SkySafari running on my iPhone, nary a Messier glob did I miss. All looked wonderful in the inexpensive. Lightbridge, which impressed me quite a bit more than I thought it would. I won’t tell y’all I stayed up till three—that’s usually not how I roll these days—but I stuck it out for quite a while before returning to the cabin for relaxing and DVD watching on my laptop. Wednesday afternoon, I did quite a bit of hiking of the camp’s trails. You can bet I was careful not to step off The Path (I’ve finally learned my lesson about that) lest I wind up like Stephen King’s Patricia McFarland. Looking around, I couldn’t help wondering if poor little Trisha had wandered through these dark and slightly claustrophobic woods. I also hiked over to the lake, which is across the state route that runs past the camp. You had to be careful doing that since the road, right out of King’s Pet Semetary, is frequented by roaring trucks. 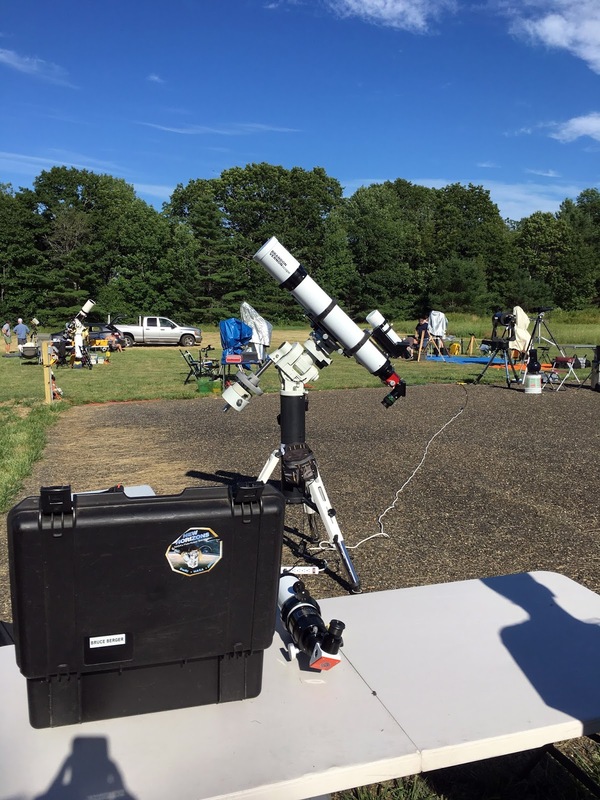 Despite some occasional bouts of clouds and even rain, the Maine Astronomy Retreat’s dedicated observers pushed on and were rewarded with some good views on both Wednesday and Thursday nights. These days, I am not one to stick it out to the wee hours, or even the semi-wee hours waiting for clearing, but that’s often my mistake. Stick-to-itiveness is sometimes rewarded by spectacular skies. Friday evening, which started out partly cloudy, was the next to the last night of the Retreat, but, alas, my final evening on-site. On the morrow, the Beattys and I would head back to Boston, so, while I hoped it would be a good evening of star gazing, I planned to turn in fairly early. This was also the night of my main presentation, and I figured I’d be a little tired from that anyway. On the subject of presentations, there were plenty of good ones at the retreat, and not just by me and Kelly Beatty. There were various speakers on various interesting subjects at all skill levels. Unfortunately, while my back’s problems have alleviated, I am still babying it, and was reluctant to attend any presentations lest my need to stand up after sitting for a while prove to be a distraction to the speakers. Before the observing and before my presentation, it was time for one final dinner, and a spectacular one it was, Lobster Night. Not that I didn’t face that with a little trepidation—I’d never eaten a whole lobster in my life. Luckily, my friends Sandy and Sara were able to show me the ropes. Seemed like a lot of work to me, but the lobster was good and the associated fixins, mussels, corn, potatoes, and coleslaw, made for a great repast. Add good wine and good friends and what a great conclusion to the week it was. My presentation, my current big one, the history of amateur astronomy as told by our telescopes, The Astronomer Looks at 60, went extremely well. As did the night’s gazing. While it began with clouds, they scudded off, and Friday turned out to be the second best evening of the event. I circulated around the field, enjoying the telescopes of my fellow star partiers, and even scoping out an object or two on my own with the Lightbridge. All too soon it was time to get some shuteye, though, and I reluctantly said adieu to the assembled observers. Saturday began smoothly with Cheryl, Kelly, and me having a pleasant ride back to Boston where they dropped me at Logan. Got to my gate and all was well. Till my phone beeped, informing me my flight time had been changed to 12:30 pm. That didn’t seem right, since it was already 1:30. Then, the flight, which was initially scheduled for 2:30, was rescheduled for 4:30. Then to 6 pm. Finally, there was an announcement. Looked like the aircraft would not be coming at all, American said, due to “maintenance problems” (uh-huh). The upshot was that I spent the night in the Boston Courtyard Marriott rather than at home. I was put out, but it was not too bad. The bar had cold Michelob Ultras and (more or less) hot wings. Back home, I reflected. Eight days was a lot of time to be on the road, but you know what? I was glad I’d spent those days away. What a wonderful experience and a wonderful star party (only one completely punk night, something of a miracle east of the Mississippi) it had been. My thanks to Kelly and Cheryl for their (overly kind) hospitality, and to Bruce and the other organizers as well as to the star party rank and file for making me feel welcome. 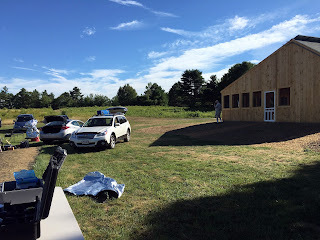 Want a comfortable (in some ways luxurious) and intimate star party with great skies and great people? Can’t do better than the Maine Astronomy Retreat. Recommended. Great write up. I am from the UK and we are only just getting these dark sky retreats although we do slum it a bit with star parties. We have some catching up to do.